Whether you subscribe to Comcast, Verizon FiOS, Time Warner or another pay-TV provider, you probably don't feel like paying for those TV shows and movies again when you're traveling. Depending on your existing setup, there are a number of ways you can take your entertainment to go, without paying extra fees. 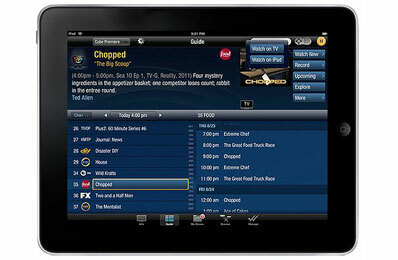 There are devices that let you tap into your pay-TV set top box remotely to watch live or recorded programming, and options to download shows and movies from your DVR onto a tablet or phone. Either way, you'll save on rental fees and purchases. PlayLater is essentially a DVR for your online streaming services. You pick the channel and program you want to record and the software will start recording. PlayLater works with 55 channels, including pay services, such as Netflix, Amazon Instant Video and HBO Go, as well as many of the major networks, including ABC, NBC, CBS, Discovery, Disney, PBS, and EPSN. For pay services like HBO Go, you enter your log-in information to authenticate the recording session. Recordings are saved as MP4 video files, which can be played on just about any portable device. For Android devices, you just drag and drop the files into the default video folder, usually labeled "videos." And for iOS devices, there's the PlayLater app (free in iTunes), which lets you sync your recordings through iTunes. You can purchase a lifetime subscription to PlayLater for $39.99 or pay $19.99 per year. The Slingbox 350 ($179.99 on slingbox.com) lets you watch and control your pay-TV set top box or DVR with your computer, smartphone or tablet. To get started, you connect the Slingbox to your set top box or DVR, install the SlingPlayer software on your computer, phone or tablet and pair it with your Slingbox. You can then change channels, access recorded programs, order video-on-demand—anything you could do if you were sitting in from of your TV at home—on your mobile device. Of course you'll need a data connection and a big data plan or access to a Wi-Fi network, since you're not downloading any of the programming. If you're an existing TiVo owner with a Premiere series DVR (starting at $149.99 on tivo.com), you can get the TiVo Stream ($129 on tivo.com) to stream video to iOS and Android devices and wirelessly transfer recordings to iOS devices. Downloading video is easy. One you've installed the TiVo app (free in iTunes) and followed the instructions for pairing your device with your TiVo, you can browse the list of recordings on your TiVo Premiere DVR and select "download" for any programs you want to transfer. Transferring a one-hour show takes about 15 minutes. TiVo Stream doesn't let you download copy protected programming, like Disney movies, but you can stream them within your home to portable devices. For existing DISH Network customers or those considering switching to DISH, the new DISH Hopper with Sling ($499 or free for new customers on dish.com) lets you stream or download recorded programs to your iPad (no iPhone or Android support for now). 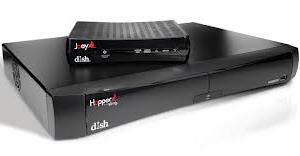 The DISH Hopper with Sling has Slingbox technology built in, so you can you watch and control programming from anywhere. Unlike with TiVo, you can download copy-protected content like Disney movies. For premium content, like HBO, downloading videos moves from your set top box to your iPad, so there won't be a copy left of your Hopper with Sling after the transfer (though, you can always record another broadcast). And, you have to transfer videos while attached to your home network. We hope one of these services helps you take your entertainment on the go. If you know of any great options we've missed, let us know in the comments. I feel it’s ironic this article talks about not paying twice for the same thing yet all 4 options you need to dish out a lot of money for!! Here’s a better idea. Chuck cable, Fios, or whatever. Just pay for your Internet and use Hulu, Netflix or watch TV for free on channel websites. Yes, that is true, though the Dish with Hopper is free for new subscribers. You would definitely like our story on ditching cable! Time Warner has a service for subscribers which allow remote viewing. How widely available it is I don’t know. They are continually changing products.